Outdoor living spaces rank first among special function rooms desired by consumers, according to the American Institute for Architects, and so homeowners are expected to be going all-in for the outdoors in 2018. Among the hottest design influences right now is “hygge” (pronounced hoo-gah) — the Scandinavian term for a feeling of coziness and comfort. This year, outdoor spaces will beckon homeowners and their guests to relax and rejuvenate with hygge-inspired accents, from plush cushions and throws to protective pergolas, cozy warming features, and outdoor lighting. 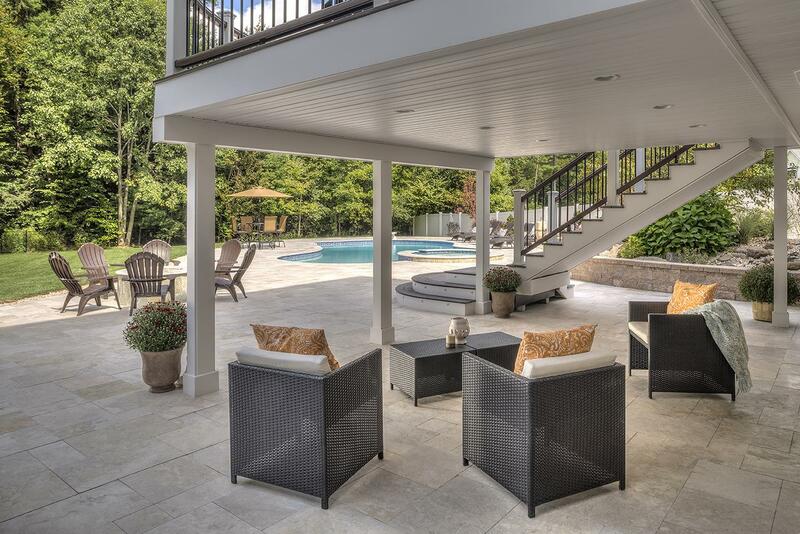 With the increased usage of outdoor living spaces comes a higher demand for chic decor and privacy. An easy design trick that adds personal style and functionality, lattice panels are perfect for enhancing privacy and concealing storage areas or unsightly views. With styles ranging from romantic to deco, lattice panels can be integrated into any outdoor area and applied to structures such as arbors, trellises, and gazebos, or used as decorative wainscoting or deck skirting.